The birth of a child is one of the most wonderful times of your life and is one that you will remember forever. You should have a positive memory of your birth experience: one that you prepare for fully, anticipate greatly, and remember fondly. 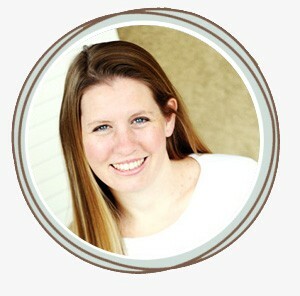 Today's media has turned birth into a rather scary event, but it doesn't have to be that way. 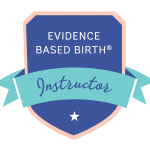 By educating yourself and making informed decisions in all aspects of your birth, you will be setting yourself up for a much more enjoyable day. 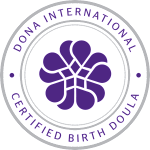 And by having a doula, you will have access to continuous physical, emotional, and informational support which has been shown in studies to decrease those awful birthing complications we've all heard so much about. 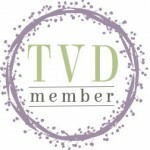 I would love to help you achieve the birth experience you desire, assisting you in introducing your baby to the world on your terms. For some women, this means an unmedicated birth, while for others, an epidural is the way to go. 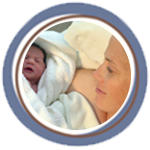 Hospital birth, Birth Center birth, Home birth... The bottom line is that I will support you in whatever decisions you make! 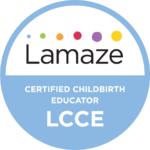 Through my role as a birth doula, a Lamaze childbirth educator, an Evidence Based Birth® Instructor, and a lactation counselor, I strive to make your complete birthing experience a positive one, helping you build confidence in yourself and your abilities. I enjoy adding FUN wherever I can, and I look forward to laughing with you during this joyous time in your life!